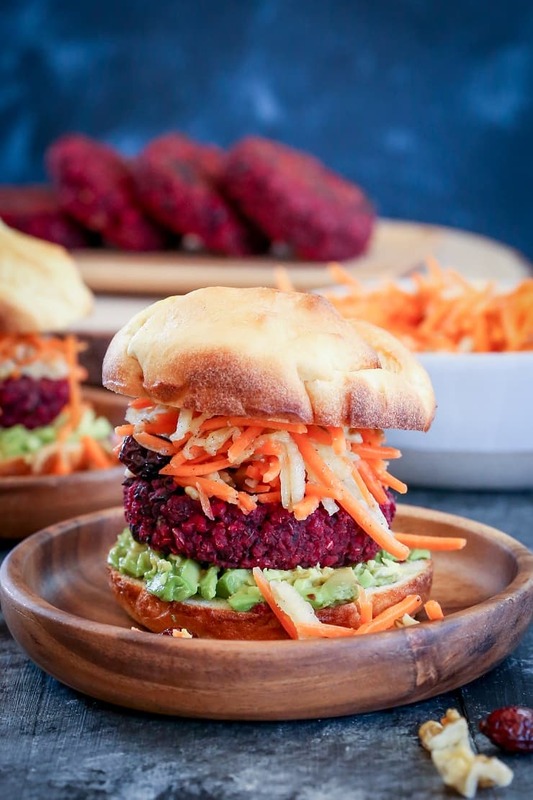 Easy beet and black bean burgers with a zesty carrot slaw make for a nutrient-dense vegan meal to enjoy on meatless Monday. These veggie burgers only take 30 minutes to prepare and can easily be made ahead of time and frozen! I’m currently en route to Maui for a short vacation, but don’t you worry – I have tasty recipes on the books for you while I’m gone. Follow along my Instagram story if you’re craving something tropical! 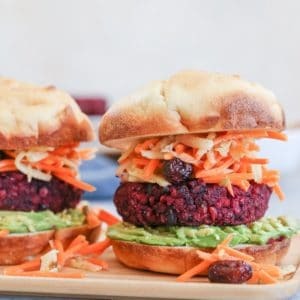 It’s been ages since I’ve posted a beet burger recipe, and after seeing Sarah’s Beet Patties with Vegan Tzatziki, I knew it was high time I whip some up. 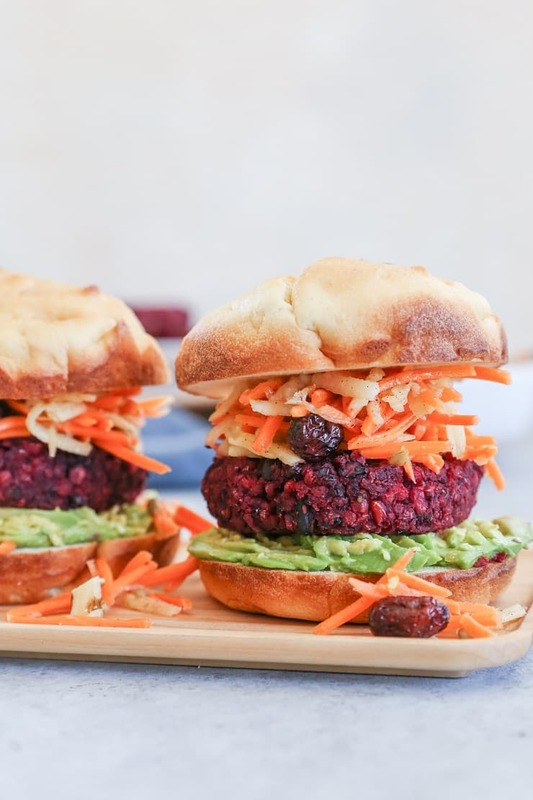 I love Sarah’s idea of adding garbanzo beans to the beet patties – traditionally, my beet burgers have been a pure carb fest, as I typically only include beets, rice, and seasonings. I welcomed the idea to give the burgers a complete protein, so I added black beans to the mix for this round. Keeping the seasonings simple, I only added a bit of cumin and sea salt, but you can get creative with your flavors. 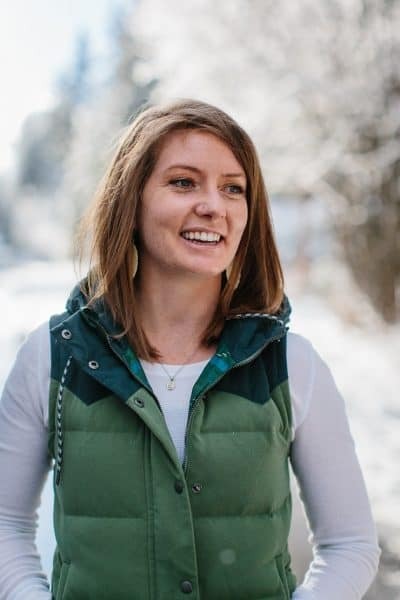 Take, for instance, my Moroccan-Spiced Beet Veggie Burgers with Herbed Goat Cheese or my Indian-Spiced Beet Burgers with Lemon Dill Yogurt Sauce – a few additional ingredients involved, and some big bold flavor. The most complicated part about this recipe isn’t even the black bean burgers, it’s the carrot apple slaw…and only because there are so many ingredients, and there’s a dressing involved (hello Lazy McGee over here). What I’m trying to say is, this meal’s really pretty easy. Chop the raw beet into chunks, then process it in a food processor. Add in the rice, beans, and seasonings. Give them a sear on the ol’ cast iron skillet. Top with carrot apple slaw and any of your favorite toppings. I used my gluten-free hamburger buns as the bun portion of this meal, but you can go with your favorite bun, toasted bread, or go bun-less and do a lettuce or collard wrap situation. These black bean burgers are perfect as a make-ahead meal – You can make the veggie mixture up to 5 days in advance and cook them off any time you’re ready, or you can make the actual burgers and store them in the refrigerator for up to 5 days. You can also wrap them in plastic wrap, stick them in a zip lock bag, and freeze them (<- which is what I do)! Add the first five ingredients for the slaw to a mixing bowl. Stir together the last 7 ingredients in a bowl to make the dressing. Pour the dressing over the carrot-apple concoction and toss everything together until well-combined. Taste the slaw for flavor and add more sea salt or lime juice to taste. Store in a sealed container in the refrigerator for up to 5 days. Chop the beet into large chunks and place it in your food processor. Process until beet is reduced to rice-sized peices. Add the remaining burger ingredients to the food processor and continue processing until very-well combined. You'll need to stop the food processor to scrape the sides several times. The mixture should be sticky - this is normal! Heat a cast iron (or non-stick) skillet over medium heat with enough olive oil to generously coat the surface. Form the beet mixture into patties while you're waiting for the skillet to heat. Carefully place patties on the hot skillet (I cook 4 at a time), and cook 2 to 3 minutes per side, until hot and crispy. 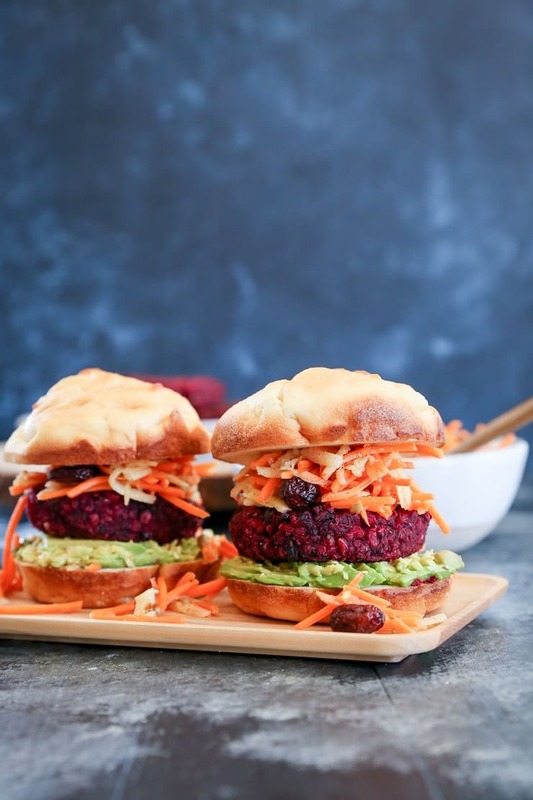 Serve beet burgers with your favorite toppings on your favorite bun (or go bunless) with carrot slaw. Burgers can be stored in a sealed container in the refrigerator for up to 5 days, or frozen. 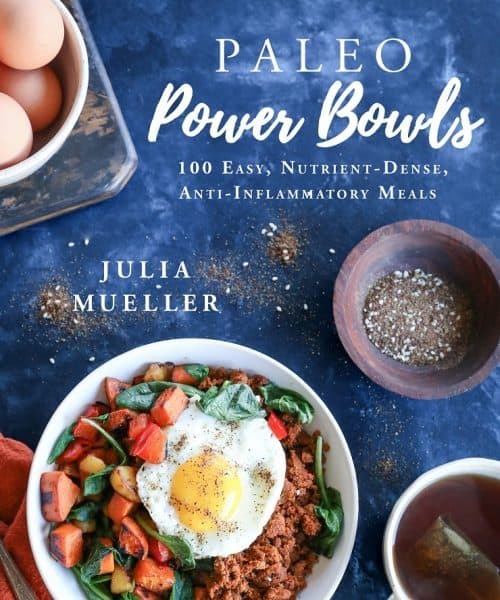 These burgers look AMAZING, Julia! Have a wonderful trip. I can’t wait to hear about it! Hot damn, that’s a burger! I’m so glad I could help inspire a little beet burg action. That slaw looks so damn good. I need to try these ASAP. Wow, love these vibrant burgers! And carrot slaw sounds so good! Lots of greetings from sunny Athens, Greece! If you’re freezing the beet and black bean burgers do you cook them first before freezing? They look delicious!